Chalet Praranger is a spacious chalet, that mainly has conserved its original state and exudes a cosy atmosphere. Your holiday home (70 m) is located on the 2nd floor. You can enjoy an unforgettable holiday here with family and/or friends. 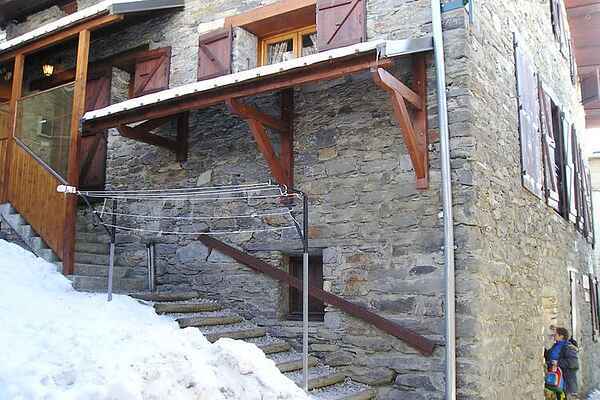 The village St. Martin de Belleville is situated in the valley of Les Menuires / Val Thorens. The cosy village is a combination of a traditional mountain village with a modern ski region. You will find various cosy bars, restaurants and shops here. The ski bus is only 250 m away from your chalet. The ski region of Saint-Martin / Les Menuires (160 km pistes) is part of Les 3 Vallées, the largest ski region in the world with 600 km pistes (altitude 1450-3200m) renowned for its sunny climate. There are numerous activities on offer in the region: rock climbing, hiking, snow walking, dog sleighs, langlaufen, etc. And in summer too you can enjoy beautiful nature here and fun activities like walking, fishing, mountain biking, canoe and lots more. Enjoy a lovely holiday !